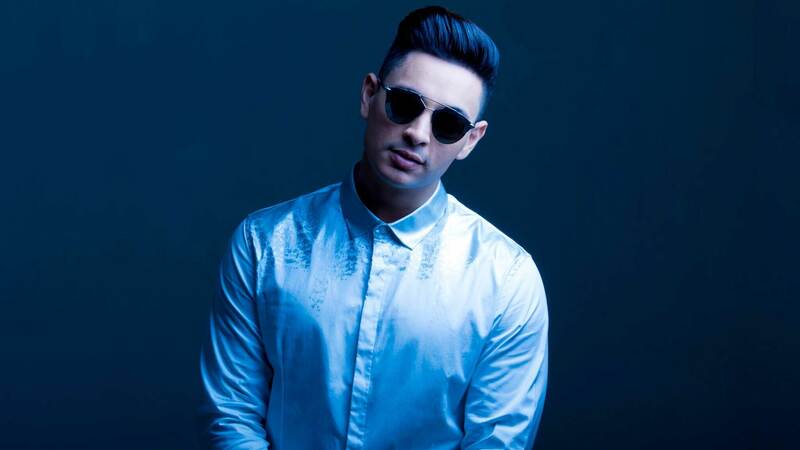 Thirty-three-year-old Venezuelan singer, actor, and, dancer Victor Drija, born Víctor Antonio Drija Vivas, is best known for his role as Víctor Rodríguez in Venevision’s hit 2007 television series, “Somos tú y yo.” A talented dancer, Drija has taken dance classes with the biggest names in hip-hop choreography, including Kehynde Hill, Dave Scott, Brian Green, Tabitha D’Umo, Marty Kudelka, The Jabbawockeez, and Shane Sparks. Drija has been in a long-term relationship with Miss Venezuela International 2011, Blanca Aljibes, whom he met at the pageant in 2012. His engagement with Aljibes was announced in February of 2017 through the release of the music video for his single, “I Love You,” which highlights the moment in which he proposed to her in front of friends and family. 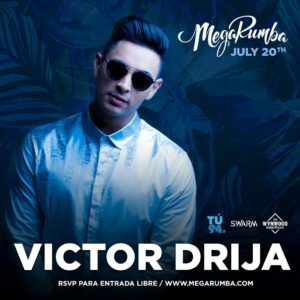 Drija’s amazing dance skills are sure to impress the thousands of fans at MegaRumba!